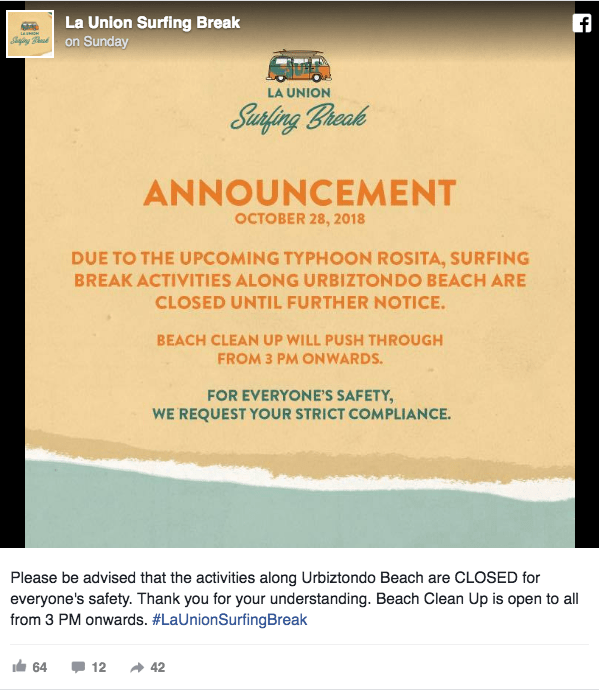 To their defense, La Union Surf Break, an annual event that includes a weekend of yoga, food, live music, and other forms of entertainment by the beach, announced prior that they have scheduled a beach cleanup after the festivities. But netizens couldn’t help but express their dismay at the extent to which the beach turned out after the party, regardless of the cleanup, with most saying that it reflects the country’s current attitudes. Another netizen pointed out that there were trash bins placed around the area and that the cleanup will not guarantee debris flying off to the seas and contaminating the waters.